“GAUCHO” is a term for a resident of Uruguay’s PAMPAS (grasslands), roughly analogous to “cowboy.” If you’re a gaucho you might ride horses, herd cattle, sing gaucho songs and drink a lot of tea called YERBA MATE. Like American cowboys, few true gauchos remain. We can still roam the imaginary grasslands and pretend. Before we can become gauchos we must dress appropriately: BOMBACHAS DE CAMPO (comfy cotton pants with button at the ankle), ALPARGATAS (rope sole and canvas shoes), PONCHO, and a HAT!! (hats differ regionally, but you might wear your BOINAS [beret] around town). PLEASE NOTE: The lesson and embedded video are NOT “How to be a Gaucho” tutorials. 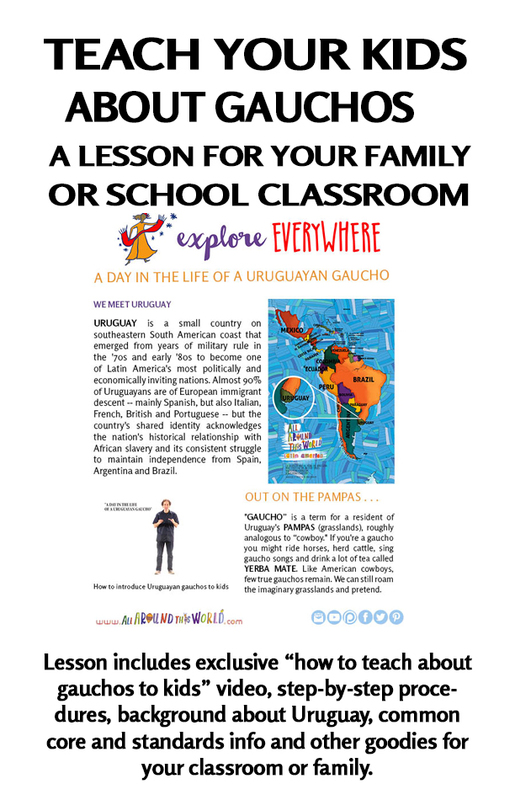 The goal of this lesson is to provide the tools for you to treat your very youngest students to their first introduction to gauchos and to inspire you to get up and enjoy a conceptual “day in the life of a gaucho” together. 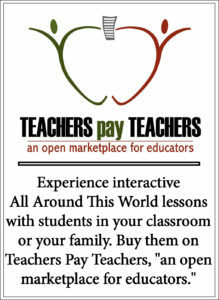 Ideally the lesson will be the first step on your and your students’ road to further Gaucho exploration.